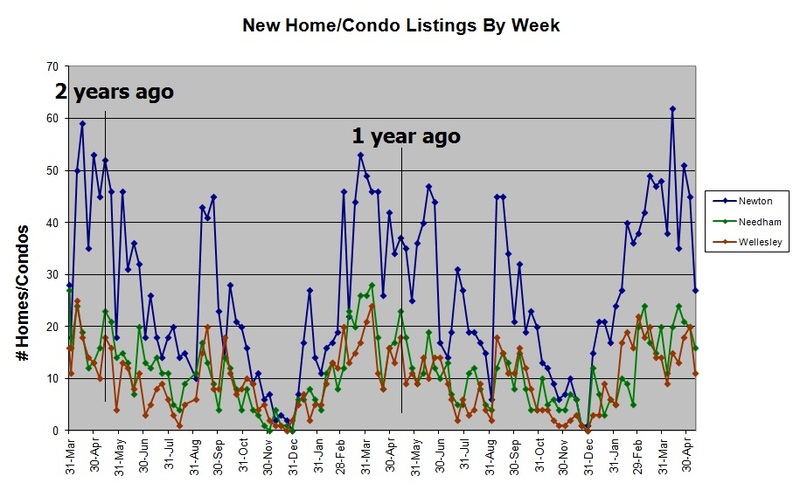 Needham, Newton, Wellesley weekly real estate update: Newton sets another 2 year record for under agreement home and condo listings. Needham also has a big week. This week in Newton and Needham, the buyers were on overdrive. 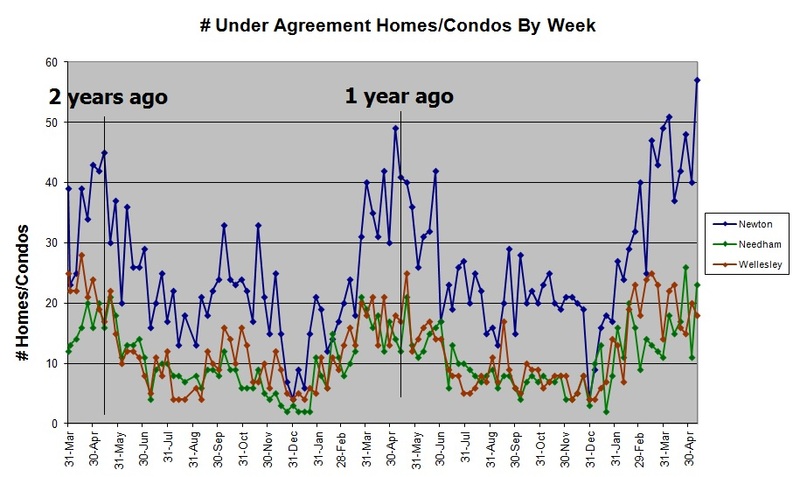 Three of the last seven weeks in Newton have seen more homes and condos go under agreement than any week in 2010 and 2011. That is the type of spring Newton is having. In Needham meanwhile, also beating the past two years, twice in the last three weeks there have been over 20 homes and condos going under agreement. Wellesley had a good week but not at the level of Newton or Needham. All three towns had big drops in the number of new listings this week. Maybe that is a sign that the spring sports season has taken over everyone’s lives and they don’t have time to think about putting their homes on the market. That is working out well for the people that do decide to list their homes. 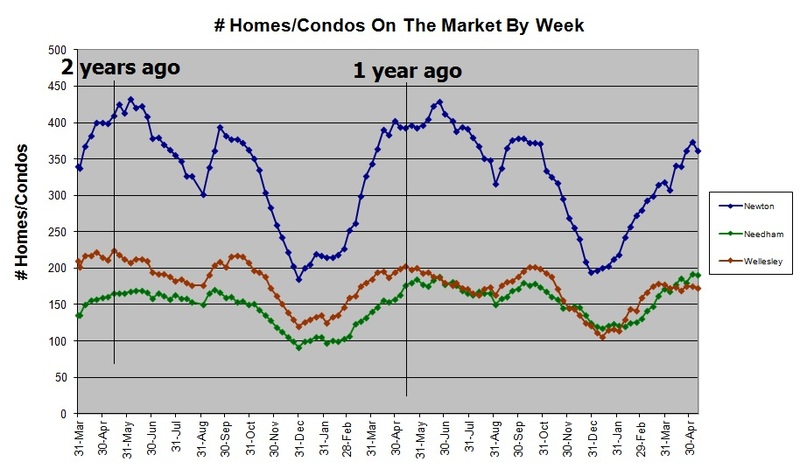 With record under agreements and less new listings, simple math then showed that the inventory of homes and condos went down this week in all three towns. Overall, Newton and Wellesley have had less inventory this year than years past and Needham has had more. ← Needham, Newton, Wellesley weekly real estate update: Another busy week, almost half sell in less than 30 days.